Thinking about extending your education past your undergrad degree? Well, before you can apply to any grad schools, you’ll have to get ready for some serious test taking. You might feel like it’s unnecessary to take a big exam since grad schools will be able to see your GPA from your undergraduate school. However, GPAs at different schools can carry different weights, so having everyone graded by a standardized test allows schools to compare prospective students a little more fairly. Listed below are the different types of grad school exams, and some basic information you should know about them. The GRE is an important component in the grad school application process. Your test score will show admissions boards how you stack up against other applicants, and if you meet the institution’s academic standards. The test is comprised of the following parts: verbal, quantitative, and analytical. The GRE can be taken any time of year on a computer at a testing location. Click here to get more information about the GRE. For anyone aspiring to get into med school, you’ll have to take the MCAT. To be eligible, you have to have intentions of applying to some kind of med school—allopathic, osteopathic, podiatric, or veterinary medicine. 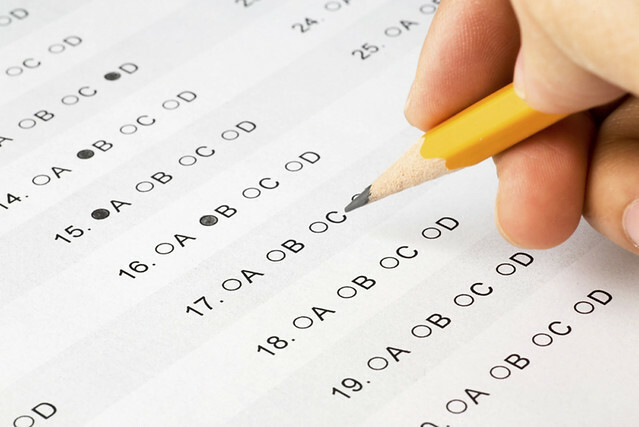 The test consists of four sections: verbal reasoning, physical sciences, writing samples, and biological sciences. Click here to get more information about the MCAT. If you dream of becoming a lawyer, you’ll have to get ready for plenty of studying for the LSAT. This test contains these sections: logical reasoning (2), analytical reasoning, reading comprehension, experimental, and a writing sample. While the writing sample will not be scored, it will still be sent out with your application to law schools to showcase your skills. Click here to get more information about the LSAT. For business school, the GMAT is the test for you. Its sections include verbal reasoning, quantitative reasoning, and analytical writing skills. Click here to get more information about the GMAT. While the aforementioned exams are the most common grad school admissions tests, there are a few other specific ones available too: the OAT (Optometry Assessment Test), the DAT (Dental Admissions Test), the PCAT (Pharmacy College Admission Test), the VCAT (Veterinary College Admissions Test), the TOEFL (Test of English as a Foreign Language), and the MAT (Miller Analogies Test) for some psychology programs. Regardless of what kind of post-undergraduate school you wish to attend, you’ll have to take at least one type of exam. There are centers all around the country that offer the tests, and most locations offer these exams on computers. No matter what path you’re taking, remember to study, study, study! There are practices manuals at bookstores, online practice tests, and prep courses that can help you better prepare for the real exam. Find out about test-taking dates, locations, and application deadlines so you can start mapping out a plan to conquer the big exam. Good luck!